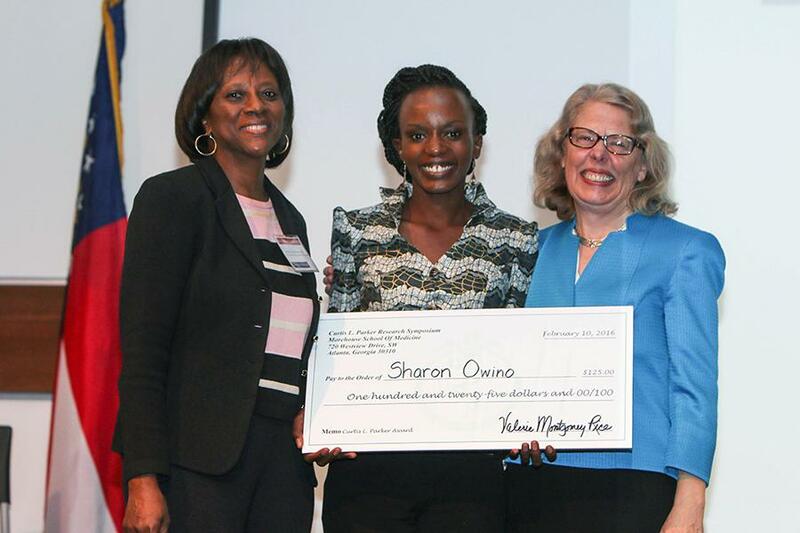 The Morehouse School of Medicine (MSM) Curtis L. Parker Student Research Symposium is an annual event showcasing research led by MSM residents, medical and graduate students, undergraduate students in the Atlanta University Center, as well as colleges and universities across the state of Georgia. 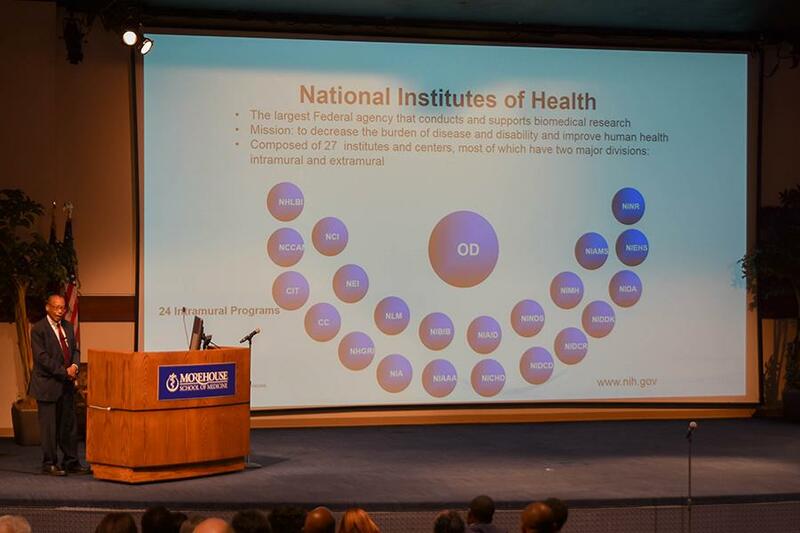 Each year, a keynote address is presented by world-renowned researchers and other leaders in science. 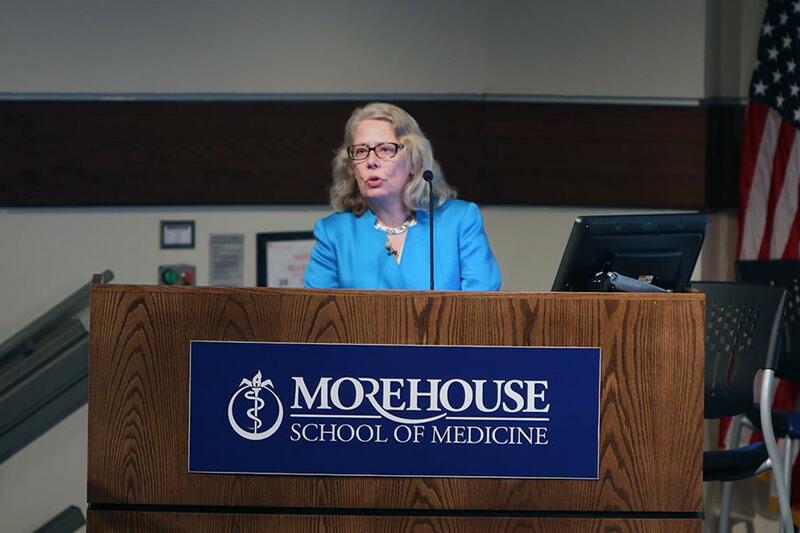 The 31st Annual Morehouse School of Medicine Curtis L. Parker Student Research Symposium was on Wednesday, February 13, 2019 from 8:30 a.m. - 5:00 p.m at the Louis W. Sullivan National Center for Primary Care Auditorium and Atrium, 720 Westview Drive, Atlanta, GA 30310. Dr. Christopher P. Austin, M.D. "Catalyzing Translation Innovation" presented by Christopher P. Austin, M.D. 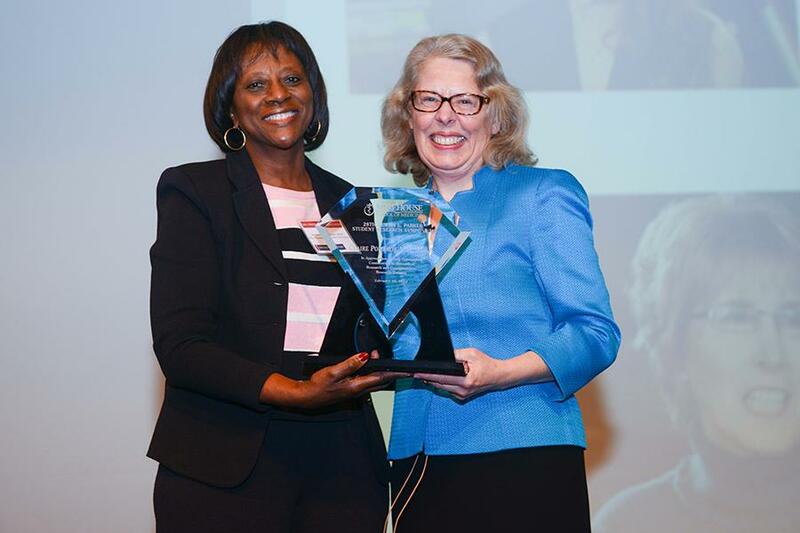 This year’s keynote speaker was Dr. Christopher P. Austin, M.D., director of the National Center for Advancing Translational Sciences (NCATS) at the National Institutes of Health (NIH). Austin leads the Center’s work to improve the translation of observations in the laboratory, clinic and community into interventions that reach and benefit patients — from diagnostics and therapeutics to medical procedures and behavioral changes. His presentation is titled, "Catalyzing Translation Innovation." 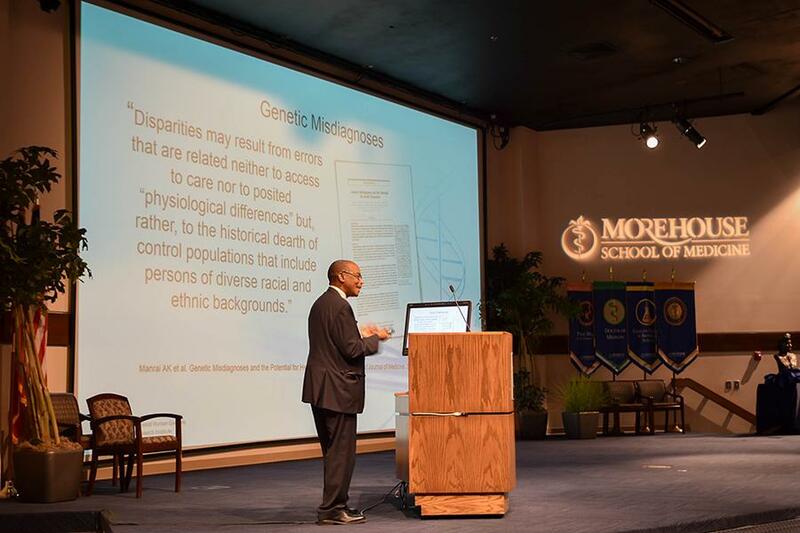 2018 “Marching Ahead to Advance Health in the Era of Precision Medicine,” presented by Vence L. Bonham, Jr., J.D., Senior Advisor to the National Human Genomic Research Institute (NHGRI), Director on Genomics and Health Disparities and Associate Investigator, Social and Behavioral Research Branch. 2017 “HPV Vaccine: FDA Approval was just the beginning,” presented by Douglas R. Lowy, M.D., Acting Director, National Cancer Institute at the National Institutes of Health. Dr. Curtis L. Parker joined Morehouse School of Medicine (MSM) in 1983 as Associate Professor of Anatomy and rose to the rank of Professor in 1985. His legacy is that of an outstanding biomedical research scientist and a primary facilitator in providing opportunities for aspiring research students to interact with scientists of national and international acclaim. His untiring efforts made it possible for some ninety medical students to participate in the Fellows Program of the National Center for Infectious Diseases. Today, this program remains instrumental in exposing medical students to an environment where innovative and state-of-the-art research is being performed and encourages them to participate. He served as Associate Dean for Basic Science and Research from 1992 to 1996 and Acting Dean from July 1995 to December 1995. Dr. Parker was also Chairperson of the Student Academic Progress and Promotion Committee, Chairperson of the Department of Anatomy from 1989 until his death in 1998, and a chairperson or a member of virtually every major committee at Morehouse School of Medicine. 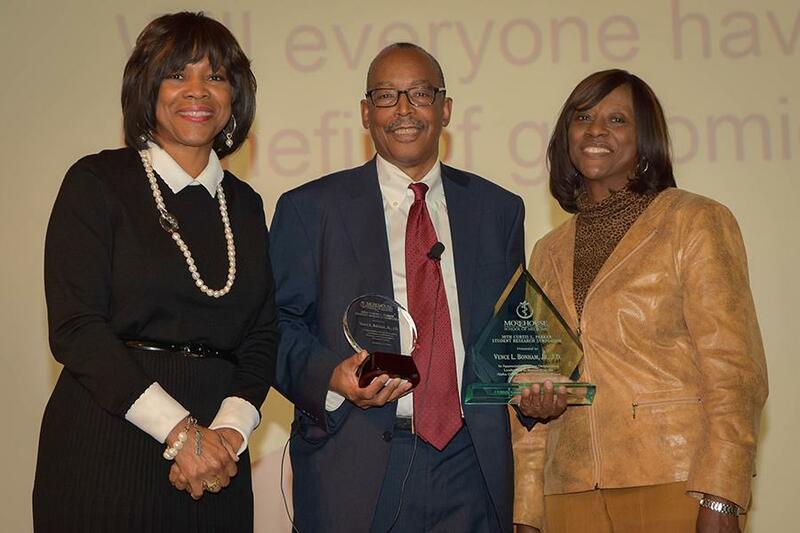 Prior to joining MSM, he was an Associate Professor at (Clark) Atlanta University from 1981 to 1983 and an Assistant Professor at Bowman Gray School of Medicine from 1975 to 1980. For his many contributions to the MSM and broader scientific community, on November 6, 1998, Dean E. Nigel Harris proclaimed what was once ‘Student Research Day’ at MSM as the Annual Curtis L. Parker Student Research Symposium.